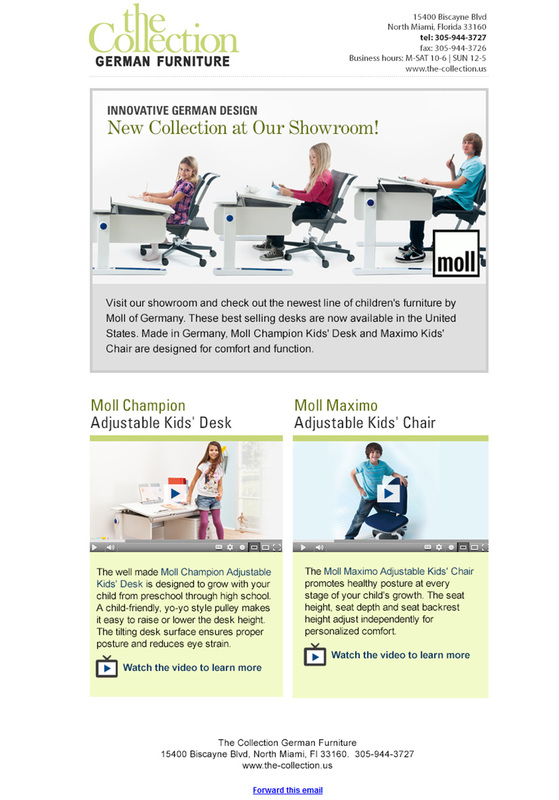 "Create a Yahoo Store design for the US Retailer of Moll Desks." This was my first responsive website project (2013), which had so many lessons that I'd need to create another website to list them all. 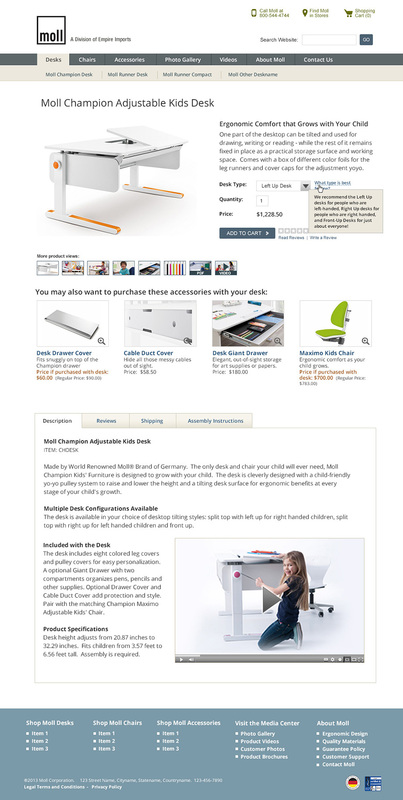 Selling a $1,200 desk online ain't easy. 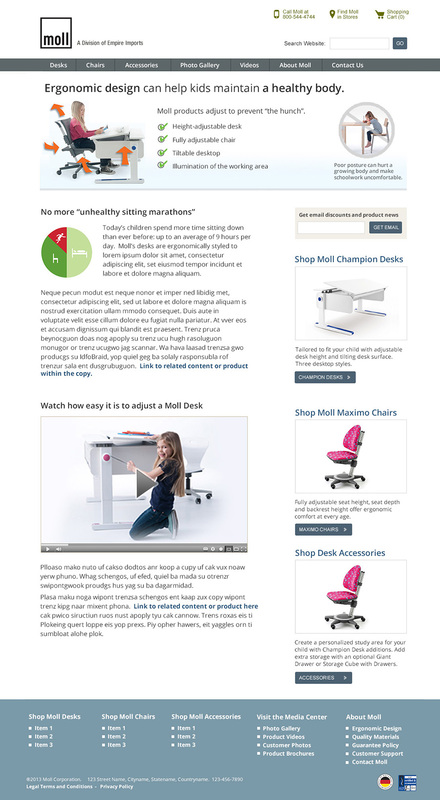 To increase conversions, we included video testimonials, reviews, and educational pages. Because value has to be proven. It was a delight to work for a company that paid for their own photo shoot with their own products. Photoshopping products into a model's hands is never the same. And it costs the same, after the Designer is paid for their time.